In this webinar, we look at CFD and FEA coupling Rocky DEM and ANSYS® simulation software. We’ll look at how the integration of Rocky and ANSYS suite of products allows users to increase productivity and model processes and equipment – while taking different physics into account. The seamless integration of Rocky DEM within the ANSYS Workbench™ platform allows engineers to use SpaceClaim to design the geometries, use Workbench parametric simulation tools to do what-if studies or even perform optimization analysis using DesignXplorer. The integration allows users to easily evaluate key design parameters and operational conditions in order to assess the equipment performance, helping engineers make the right decision. 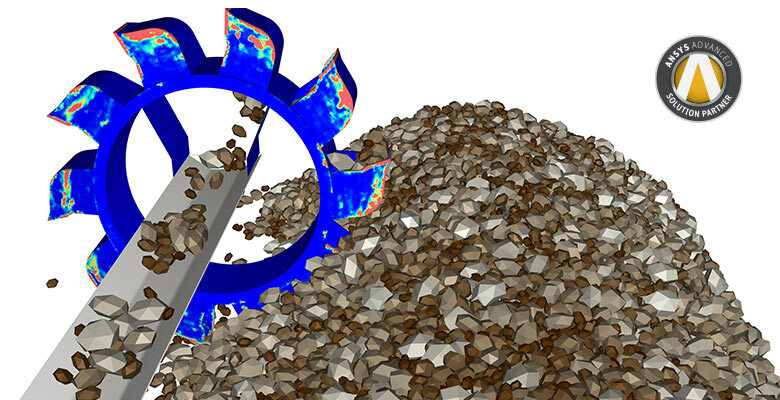 The coupling between Discrete Element Modelling (DEM) and Finite Element Analysis (FEA) allows engineers to predict the stress and strain response of the structures when subjected to the granular loads accurately calculated by Rocky DEM. In this webinar, the coupling methodology between Rocky and ANSYS Structural is presented together with few interesting applications examples. The coupling between Discrete Element Modelling (DEM) and Computational Fluid Dynamics (CFD) is a promising approach to model granular-fluid systems, broadening the range of particle-fluid processes that can be handled with numerical simulation. In this webinar, the coupling approach for Rocky and ANSYS Fluent will be addressed, as well as examples of simulations using both 1-way and 2-way coupling modes. Subscribe to this webinar to learn more about ANSYS coupling and how it might be useful in your application. Lucilla holds a BE (Chemical) undergraduate degree, an M.Sc. in Chemical Engineering, and a Ph.D. in Nuclear engineering from the Federal University of Rio de Janeiro. 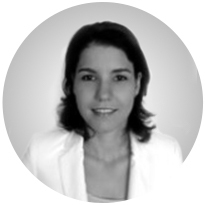 She joined ESSS in 2008 and has spent 5 years applying CFD to solve common engineering problems in the oil and gas industry, working with turbulent and multiphase flow simulations. Since 2013, she’s been an Application Engineer for the Rocky DEM Business Unit supporting users, working on consultancy projects, and validating models implemented for CFD-DEM coupling.